Professor Pierre-Gabriel Jobin, Ad. E., holds a B.A. and a B. in philosophy (with great distinction) from the Université Laval, a B.C.L. from the same university, and a diplôme d'études supérieures (D.E.S.) and a doctorate in private law (with great distinction) from the Université de Montpellier I. He began his career as an associate professor at the Université Laval Faculty of Law (1972-1976) and soon after joined the McGill University Faculty of Law as an associate professor. 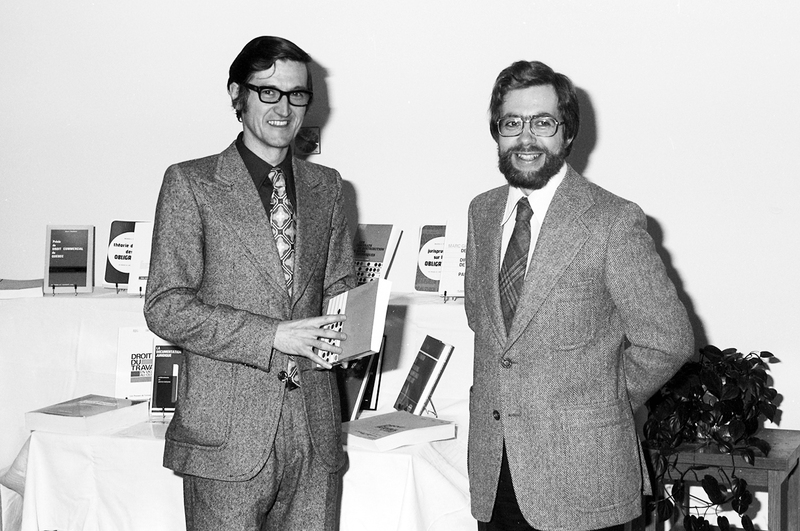 He was promoted to full professorship in 1980. In 2007, he was named the Wainwright Professor of Civil Law. Since his retirement in January 2009, he holds the title of Wainwright Emeritus Professor of Civil Law and remains an active scholar at the Faculty. Pierre-Gabriel Jobin has dedicated his career to the development and thorough understanding of Quebec civil law from a comparative law perspective in Quebec and internationally. He teaches and publishes in the areas of general law of contracts, law of obligations, law of sale, law of leases, civil responsibility, consumer law, comparative law, and the reform of the Civil Code. He has published many articles in legal journals in Canada and abroad, including "La modernité du droit commun des contrats dans le Code civil du Québec : quelle modernité?" (2000). He is the author of classic works on Quebec law: jointly with Justice Jean-Louis Baudouin, the renowned reference book Les obligations, 5th edition, 1998, 6th edition with the collaboration of Professor Nathalie Vézina, 2005, and 7th edition, with Professor N. Vézina, 2013; Le louage (2nd edition, 1996) in the Traité de droit civil collection; La vente, (3rd edition, 2007, in collaboration with Professor Michelle Cumyn). He has also published Les contrats de distribution de biens techniques (1975) and is the Canadian correspondent for the Revue trimestrielle de droit civil. He has delivered many presentations as well. Professor Jobin has received the Prix de la Fondation du Barreau du Québec for an article ("Les effets du droit pénal ou administratif sur le contrat : où s'arrêtera l'ordre public? ", 1985) and later for his book on leases (Traité de droit civil. Le ouage de choses, 1990). He was also awarded the Medal of the Canadian Bar Association, Quebec Branch, for his distinguished contribution to the profession (2003). He was elected an associate member of the International Academy of Comparative Law (1999) and later as a full member (2000). He was given the Prix Loubers from the Université de Montpellier I Faculty of Law and Economics, awarded to the doctoral student in private law who attained the highest degree of excellence (1969-1970). 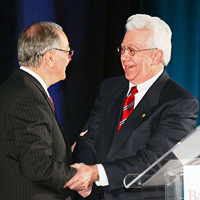 In 2010, he received the Merit Award of the Barreau du Québec for his exceptional contribution to the profession and was named advocatus emeritus (Ad. E.) for the whole of his career. In 2014, he was awarded the Justitia Prize of the Faculty of Law of Université Laval, for his academic commitment and his exceptional career. Professor Jobin contributes actively to the profession. 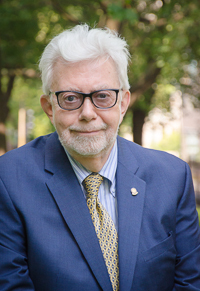 He remains very much involved in the Quebec Society of Comparative Law where he served as president for a number of years (1991-1997, 1999-2005) and is now a member of the board as past president. He designed the concept of the new Traité de droit civil, together with Professors P.-A. Crépeau and J.E.C. Brierley, and wrote the first volume of that collection, Le louage. He has been the long-time director of the Canadian Bar Review (associate editor, civil law, 1989-2003). In addition, he was director of the Cahiers de Droit (1975-1976), president of the Association des professeurs de droit du Québec (1978-1979), executive director for the Congress of the International Academy of Comparative Law (1986-1990) and co-founder of the Concours interuniversitaire de Tribunal-École Pierre-Basile Mignault (1978).